Have you ever left the doctor's office not sure what you needed to do next or felt your concerns were not heard during your appointment? Do charges on your medical bills seem impossible to decipher? Has an injury left you unable to work and wondering what options are available to you? These are just a few of the typical situations people face in our state and across the country. Healthcare has become increasingly difficult to navigate, expensive to obtain and inefficient to practice. Health Advocates address these problems by providing guidance, information and solutions around medical care and related billing, insurance, legal and administrative options, connecting you and your healthcare team to achieve better outcomes. See the numerous areas a Health Advocate can help improve the quality of care you or your loved ones receive and in many cases save you money along the way. 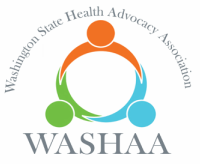 Read here about types of services available through Health Advocacy in WA State.